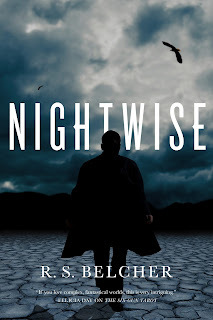 To celebrate the release of Nightwise - a novel I've eagerly anticipated ever since reading the brilliant The Shotgun Arcana - I had the opportunity to ask RS Belcher a few questions on his new book. Welcome to the blog! 1. How different was Nightwise to write, as opposed to The Shotgun Arcana and The Six Gun Tarot? Does the different style/subgenre affect your writing process at all? Nightwise began as a novella called “The Greenway” years ago, around 2009-2010. My natural “voice” for writing was originally a first person, noir-detective style. It's very natural to me. I grew up on detective fiction and came to love Raymond Chandler and John D. McDonald When I started writing Six-Gun Tarot, I realized that the first-person voice didn't feel right for that story, so I went with a different voice. Nightwise was in some ways very easy and very fun to write—it felt like going back to the bedrock of my earliest writing and to the first genre I tried to write in, but in other ways it was hard after writing Six-Gun. I found difficulties in having a large, complex cast of characters and using a first person voice with that. The Golgotha books ( Six-Gun Tarot and Shotgun Arcana) do have a different voice and style and I do have to do a bit of a “shift in gears” to go from writing one universe to the other. I actually finished Nightwise just before I started on Shotgun Arcana, and it took a little effort to change gears. Detective fiction and westerns are two of my favorite genres and I feel really lucky to get the chance to work with both of them. 2. What's your favorite urban fantasy? I am currently really enjoying the “Sandman Slim” series by Richard Kadrey. 3. You've said that you've worked as a private investigator. Has that experience informed or inspired Nightwise at all? I think my life influences my writing quite a bit. There's more of me in Nightwise than I'd care to admit. 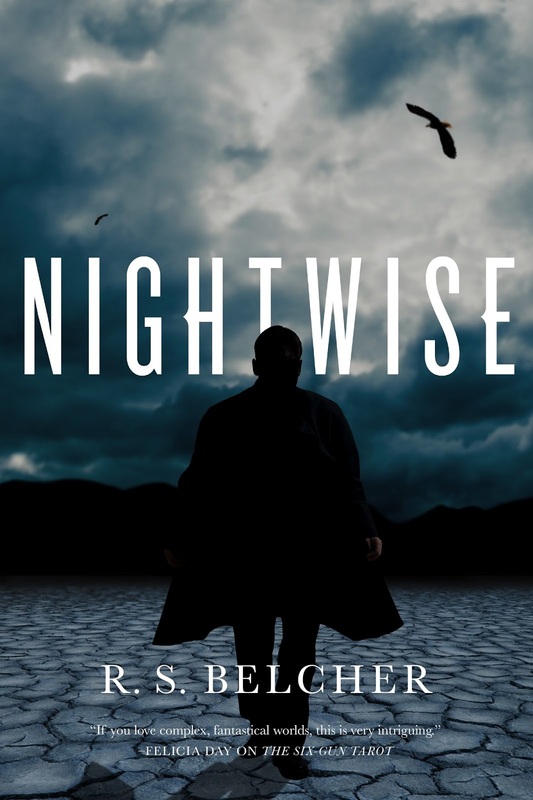 I was a private investigator for over ten years and I definitely feel that job gave me some experiences and insights that have showed up in Nightwise and some of my other writings. 4. How much have your novels changed from their original concepts? Have they ever surprised you in that respect? Yes. In the case of Nightwise, it was originally a novella with a different ending and most of the cast of the novel weren't even in that story at all. After Six-Gun Tarot was purchased by Tor, I was encouraged to revisit the novella and make it into a novel. My Agent, Lucienne Diver was very supportive of this effort, as were several of my close friends. Quite often the core of what I'm writing about stays pretty consistent, but the way I get there and the characters involved may undergo change. Many of the characters in the Six-Gun Tarot were never intended to be major characters but that all changed during the writing and editing process. I work from a simple framework to keep me on point, but I often alter the details as I go. That is part of the joy of writing for me; creating something much more than the sum of its parts. 5. We often try to avoid cliches - but do you have a favourite (or at the very least guilty pleasure) overused trope? I started writing the Six-Gun Tarot with the desire to take all the old western cliches and turn them on their ear as much as I could. I was great fun. Nightwise is, at its heart, a detective story, but again, I tried to take those old gumshoe cliches and present them in a new way. I think my protagonist, Laytham Ballard, is stereotypical of the Urban Fantasy anti-hero but I decided if I was going to go down that road, I was going to make him as close to irredeemable as I could and at the same time make the reader like him, root for him and even sometimes understand his motivations, even if they didn't agree with them. Cliches can be useful tools for a storyteller—they're cultural short hand. You can use them to summon a series of ideas and preconceived notions and then completely mess with that mindset in a way that will make the reader do a double-take. It's both fun and also can be a pitfall if you lean too much on the same old things your reader has encountered a hundred times before. Blog | Off on Holiday!